The Carbon Energy Efficiency Scheme (formerly known as the Carbon Reduction Commitment, CRC) is the UK’s mandatory climate change and energy saving scheme. It is central to the UK’s strategy for improving energy efficiency and reducing carbon dioxide (CO2) emissions. The SystemsLink CRC Reporting module allows full data storage and analysis of all required data and plays a key role in compiling the legislative reports for our customers. The CRC Reporting module is fully integrated thus ensuring as with all parts of our software information only needs to be entered once, removing inconsistency errors and reducing administration related to cleansing and duplicate entry. I feel compelled to write and say a big thank you to SystemsLink for its CRC Reporting module and ease of use. Without it I would be up to my ears in uncontrolled spreadsheets and tearing my hair out. I have 244 supplies to account for and over 300 properties to consider if they need to be included, so you may appreciate what a useful tool this has been. Our CRC software allows you to manage all your supplies which are included in any of the CRC Phases, as well as excluding those which do not qualify, and recording the respective reasons. 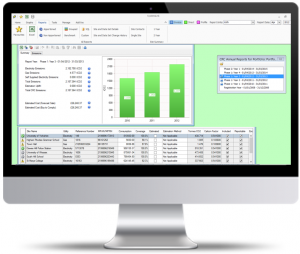 Our Energy Manager software holds Invoice Data, Manual Meter Readings and HH/AMR profile data and the CRC Reporting module can use the best available data. In addition data from supplier statements can be imported. Any gaps in the data can be filled using the authorised Environment Agency methodologies. In addition the software calculates the volume of carbon allowances that need to be purchased, at both the buy to comply price, and the forecast sale price. Allows CRC cost liability to be calculated throughout the financial year based on year to date data. For more information on CRC legislation visit the Carbon Trust website.